Sears filed for Chapter 11 bankruptcy in mid-October 2018. The 131 year old retail company will be closing 142 of its 687 stores. 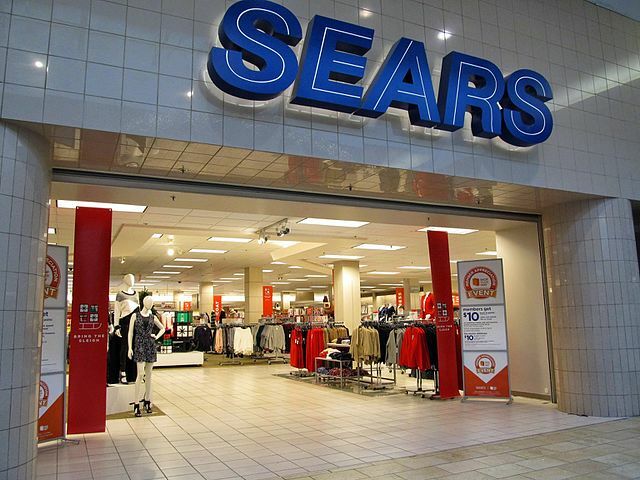 Sears began as a watchmaker in the late 1800s before entering fully into the retail business. The retail giant expanded into the finance and real estate market in the 1970s, but slipped into a long-period of decline in the 21st century. The company’s bankruptcy has been attributed to Amazon and other online competition. The architect of Sears’ demise was not the internet though; it was former Sears CEO Eddie Lampert. On paper, Lampert appears innocent and even benevolent. He took no salary during his tenure and he accumulated shares rather than purchase or sell them off. However, the warning signs were present lurking just under the surface. Sears appointed Lampert as its CEO in 2013, but Lampert was already one of the company’s largest creditors when he was first hired. Lampert continued leading money to Sears during his years as CEO. Lampert kept Sears afloat during his five years as head of the company, but his decisions shrank Sears rather than steer the retailer into a profitable direction. Lampert sold 235 of Sears’ property to Seritage Limited Partnership, a company that Lampert is also chairman of. Sears also sold Land’s End, a clothing brand, to a company that Lampert has financial relations with. The company also sold its tool and hardware brands in order to pay off its’ debt – debt that the company owed to its then CEO. Despite his resignation as CEO, Lampert also stands to gain from Sears’ bankruptcy. What little property Sears has left was mortgaged or leased to it through creditors that Lampert controls. Not only is Lampert Sears’ number one creditor, but he is also a secured creditor. The law requires that secured creditors be paid before a debtor can leave bankruptcy and that secured creditors are paid before anyone else. Thousands of employees are left wondering whether they will see their last paycheck. In contrast, Lampert will be the first one in line for payment even though he was the one who drove the company into the ditch it finds itself in. Sears was not the only company with executives who lined their own pockets at the expense of the company they were supposed to oversee. In 2004, Toys R US’s board sold the toy store to three financial equity companies, Vornado, KKR, and Bain Capital. The company sold for $6.6 billion, but the buy-out was structured in a manner that left the company holding the debt. The buyout agreement only required that 20% of the total sale was paid directly by the buyers; the remaining 80% was borrowed by Toys R US itself. In other words, Vornado, KKR, and Bain Capital bought the toy store for 20% of the total agreement, shareholders took the profits, and Toys R US was left with millions of dollars in debt. The public blames the internet for the loss of former favorite businesses such as Sears and Toys R US, but the internet alone does not account for the fall of these companies. The individuals in charge often have ulterior motives that may have influenced them to make questionable decisions. Men like Lampert are often on both sides of the transactions and stand to make a substantial profit even at the expense of the company they are supposed to be running. These transactions are made possible by American’s corporate fiduciary laws. American executives are supposed to act in the company’s best interests, but business and the law’s understanding of “corporate best interests” is to make as much profit as quickly as possible. The business judgment rule also bars judges from second guessing the decisions made by executives, which means there is little recourse if anyone suspects that the CEO or the board is engaging in self-dealing or other unethical behavior. The end result is that America’s business class often makes deals that result in large windfalls for shareholders in the short term, but will actually harm the company down the road. Since the judiciary is legally barred from overseeing these massive deals, executives are often tempted to find a way to profit from the deal as well. In the case of Sears, the CEO was also the company’s biggest creditor and was incentivized to sell as much of the company as possible to pay back the money that he was owed. With Toys R US, the directors and executives wanted a huge cash buyout before departing. These decisions are great for the people in charge and are even good for shareholders in the short run, but the massive debts and loss of assets will destroy the company in a decade or two down the line. This pattern will continue unless we change the laws. Corporate fiduciary duties must encompass the long-term health of the company as well as the company’s profit margins today. The law must be able to punish executives who put their own interests over those of the companies. Otherwise, the pattern will continue as their own directors and executives drive them into the ground.